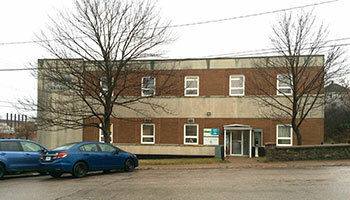 Information Our smallest branch is located in the Trenton Town Hall Building, on Forge Street (a side entrance). We offer a full range of free services and access to the resources of all Nova Scotia public libraries. The Trenton Library is a wireless hotspot (WIFI) with access to high speed Internet. Programming, Reader's advisory, reference, inter-library loan, Internet access, public computer workstations, scanner, photocopier, printer, GPS, family play packs, Nordic walking poles. Instructional tours available upon request. A 24-hour book materials return drop box is located at the front entrance. - Crafty Saturdays every 2nd Saturday of the month from 11:00am – 3:00pm, and special occasions. Accessibility Fully Wheelchair Accessible ; ** the washroom is not wheelchair accessible (the doorway is quite narrow).